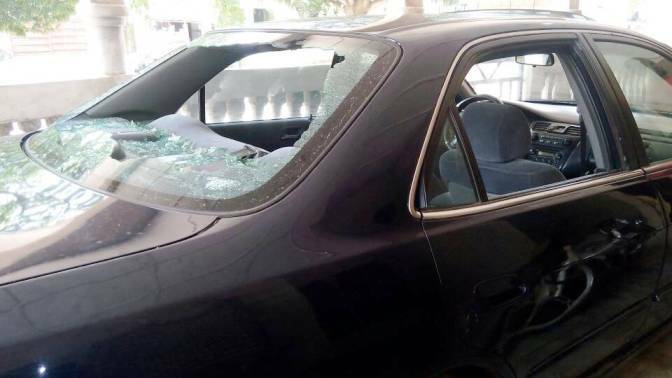 An Aide to Senator Dino Melaye, the lawmaker representing Kogi West Senatorial district at the National Assembly, Comrade Gbenga Bright has allegedly escaped assassination, Our Kogi State Correspondent reports. Comrade Bright who is also the Publicity Secretary of APC in Ijumu Local Government of Kogi State told journalists Tuesday October 3 that the incident happened Saturday September 30. The APC Publicity Secretary said he attended a burial ceremony and called one Ahmed Yakson, the SA administration to Senator Dino Melaye to come and pick him from there, from where they moved to the venue of the burial ceremony in Okoro Gbede. Efforts to confirm the incident from the Police Public Relations Officer in Kogi State, ASP William Aya proved abortive as his mobile numbers were not reachable as at the time of this report.